This game was created during the Corgi Jam 2014 (http://itch.io/jam/corgi). 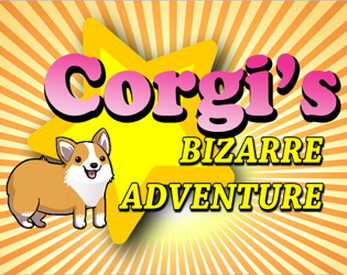 In Corgi's Bizarre Adventure you, as a Corgi, must escape the malevolent 'Timbu, the Rat'. Timbu will gain speed as time passes, thanks to his high-tech flying ship. By using the elements of the scenario will you be able to move faster and even slow Timbu down! But be careful, not everything is there to help you! This game was built using Construct 2 and uses WebStorage to keep the Highscores.